Google's fabled smartwatch has become just as speculated over as Apple's iWatch, and we're now hearing that the device could be manufactured by Motorola. Now, we have no way of verifying this information, which comes from a source speaking to Android Authority, so there's every reason to be sceptical. We'd previously reported on a patent that suggested Google's smartwatch functionality would be designed to overlap with Google Glass, and the latest news reinforces this. It's also said that the watch will rely on a Google Now-style use of information cards. These anonymous informers have claimed that the watch already exists in a physical form and has been seen in its Berlin, Manchester and Mountain View offices, and possibly others. 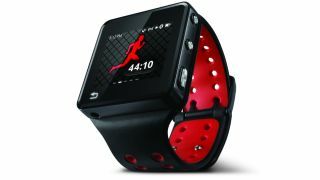 The Motorola aspect is particularly interesting, though not all that surprising now that it's owned by Google – and that Motorola released its own smartwatch, the Motoactv, in 2011. The same sources also state that the watch is "not a standalone device yet", claiming that it needs to be tethered to a smartphone to function properly. This part isn't so surprising given that Google Glass works much the same way. The question right now is: Will we hear anything about this mythical wrist wear at this week's Google I/O? We'd say it's unlikely that Google will be ready to show off anything concrete, though there's always a small chance that it could drop a tantalising preview.